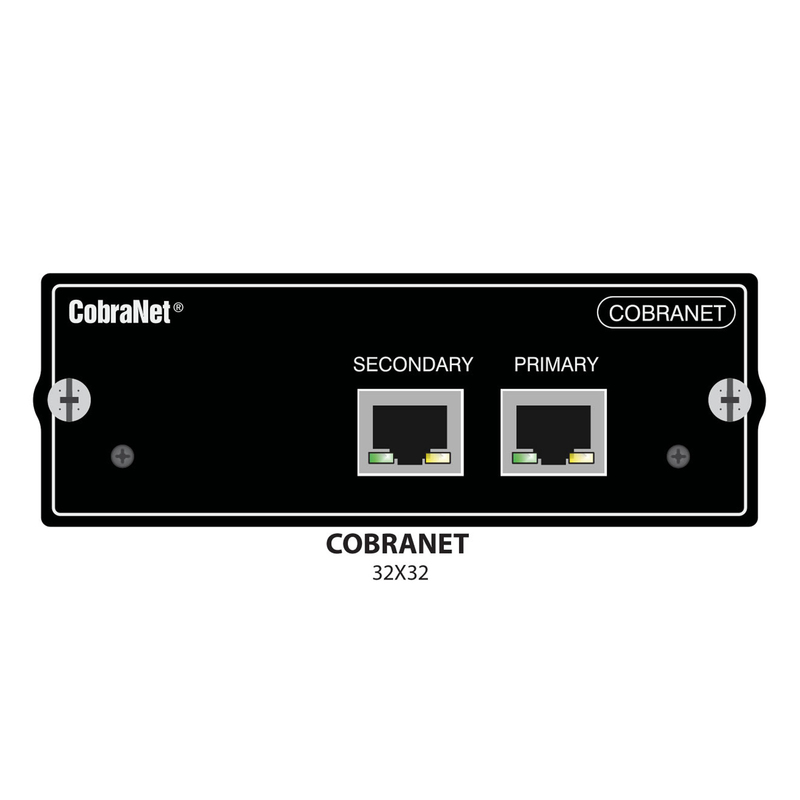 This card allows sending and receiving of up to 32 audio channels to/from a CobraNet® network. DIP switches on the card allow setting the number of input or output channels seen by the console. Default setting is 32 output and 32 input channels. CobraNet cards used in Soundcraft consoles must operate as the conductor of the CobraNet system.